Do you want a career change and to see what the Emergency world is like? Or are you just looking for a team with an incredible culture, atmosphere and dedication to provide the best care possible? We are looking for a dedicated and experienced Veterinarian in a full-time capacity who either loves this branch of veterinary medicine or is looking for an alternative career path. Candidates with MANZCVS qualifications and other training in veterinary critical care are highly encouraged to apply although it is not a required pre-requisite. 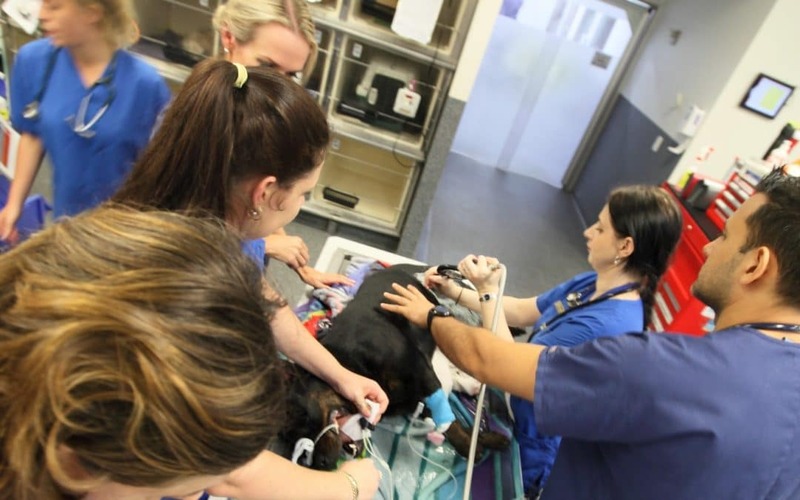 AES has a dedicated ‘Accelerate’ training program to introduce vets into emergency practice as well as a ‘Consolidate’ veterinary development program to help develop skills in consultation, emergency medicine, surgery and critical care. This allows you to become confident with handling any case in ICU with the support of your colleagues never far away. Our team and our focus on continual development are the life-blood of AES and we would love to be part of your career journey. Emergency vet work isn’t the career for everyone, but three years with us will set you up for wherever you want to go. Please contact Dr Alvaro Jordan on (07) 3423 1888 or ajordan@aes.email for more information, to visit the practice, or to speak with any of the AES vets about their experiences. To apply for the position above please email your resume to careers@aes.email, citing the reference number GCVE1809.